Victory Is Yours! 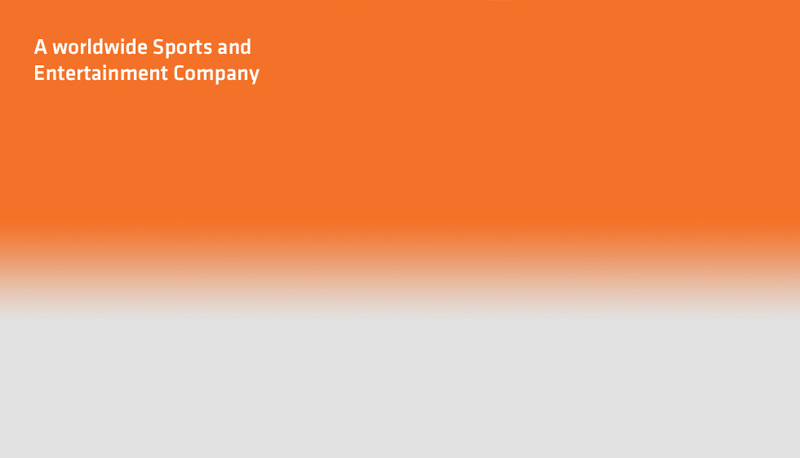 Upper Deck Releases the First Hockey Product of the 2011-12 Season Today! Carlsbad, CA (August 2, 2011)– Even as Boston Bruin fans were celebrating their victory over the Vancouver Canucks in the 2011 NHL Stanley Cup™ Finals several weeks back, Upper Deck was hard at work putting the finishing touches on the first NHL trading card release of the 2011-12 season: Victory Hockey. This comprehensive 250-card collection hits store shelves today and provides collectors with the very first rookie cards of any players who made their debuts at the end of the 2010-11 NHL campaign. 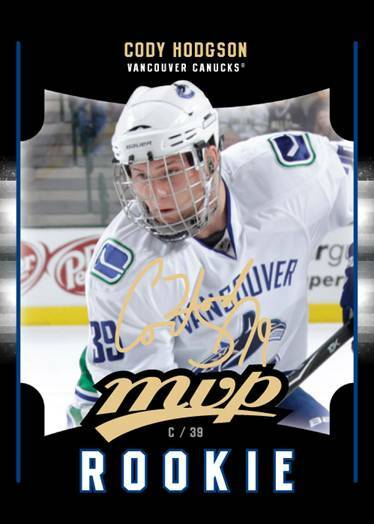 This is the first opportunity for fans to add NHL licensed rookie cards of standouts like Cody Hodgson (Vancouver Canucks), Joe Colborne (Toronto Maple Leafs), Jonathan Blum (Nashville Predators) and Matt Frattin (Toronto Maple Leafs) to their collections. 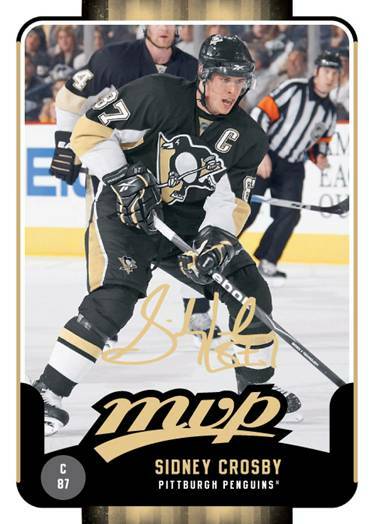 That’s right, 2011-12 NHL Victory will include regular MVP branded cards that can be found in every other pack, and MVP branded rookie cards will be a tougher pull, appearing one in every 18 packs. 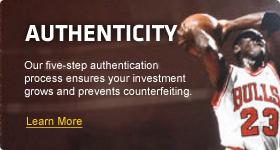 MVP returns with a sleek design and the facsimile signatures fans have come to enjoy with a 100-card set. Other insert cards that can be discovered in packs of 2011-12 Victory Hockey include “Stars of the Game” and “Game Breakers” which feature top NHL stars. The “Victory Black” parallels return to provide an element of chase for fans with regular cards appearing 1:720 packs on average and rookie cards only surfacing 1:1440 packs on average. Collectors lucky enough to pull one of those cards will definitely feel a rush of excitement. Another parallel to be on the lookout for are “Victory Red” parallels that can be found exclusively in retail fat packs. 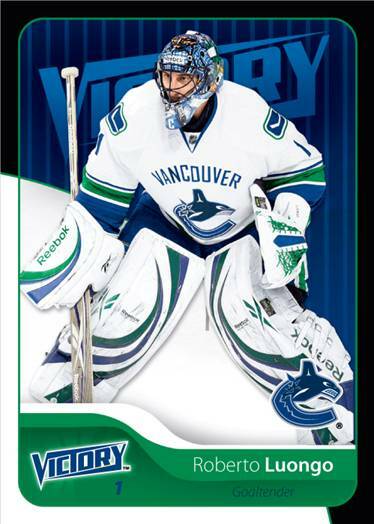 Upper Deck’s 2011-12 Victory Hockey includes six cards per pack with 36 packs per box. It can be found now on hobby and retail store shelves throughout North America.